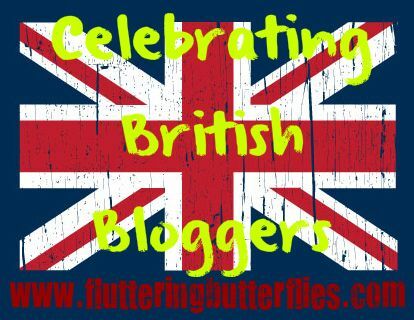 It's that time of week again to meet yet another brilliant British blogger! Please let me introduce you to the absolutely lovely Carly from Writing from the Tub! Carly is one of my favourite bloggers and one of my favourite people ever. I’m Carly and I run the YA blog Writing from the Tub. I graduated from Bath Spa University in 2009 with a degree in Creative Writing and have been working on a variety of YA novels ever since. I’m in the rewriting stages of a contemporary YA, Reckless, which I’m hoping to pitch to agents next year. At Writing from the Tub I mostly focus on contemporary YA and also try to post about my writing progress. Back in 2009 I wrote a review of How I Live Now for my friend’s dissertation project (a review magazine) and then realised it was quite a lot of fun. 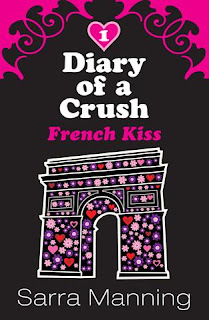 I then started reviewing for Curled Up with a Good Book (an American site) and Chicklish, godmother of all UK book blogs. Eventually I started Writing from the Tub in 2010 (after a failed attempt at using it for a writing blog back in 2009) and the time has flown by! I can’t believe I’m nearly at my three year blogoversary. Crazy. I write contemporary YA novels, I watch copious amounts of TV and film (as ‘research’), I Instagram photos of my dog, Bertie, I practise applying liquid eyeliner in a straight line, I spend my earnings on dresses, I complain on Twitter about the 30 Day Shred without actually doing it and I nap. 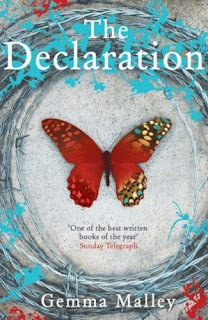 The Declaration by Gemma Malley. When I read it back it was definitely more intellectual than my reviews now, so my style has changed a lot over the years. Although it’s worrying I sounded more intelligent back then than I do now… I’m the book blogging equivalent of Algernon . Definitely making so many friends off the back of blogging. It’s a perk I never imagined would happen when I first started blogging but I’m so grateful for it. There are stacks of wonderful girls and guys (Andy from The Pewter Wolf, representing the males!) who I genuinely consider my friends and love meeting up with when I get the chance. Also, getting to meet authors I’ve admired for years just completely blows my mind. When I first started Writing from the Tub I never, ever thought I’d get to meet people like Meg Rosoff, David Almond and Sarra Manning! When I think about that now it still blows my mind. Oh, lord. Okay, The Bell Jar. A very close second is Rebecca by Daphne du Maurier. And my favourite YA is The Perks of Being a Wallflower by Stephen Chbosky. Ruby Oliver from the Ruby Oliver series by E. Lockhart, definitely. I feel as though we could indulge in some two for one cocktails, gossip about boys and pretty much set the worlds to rights. Which, funnily enough, is exactly what I do whenever I see Sophie from So Many Books, So Little Time. Sophie, you are my real life Ruby! Golly gee, this is so hard because I’m obsessed with so many amazing bloggers. 1. 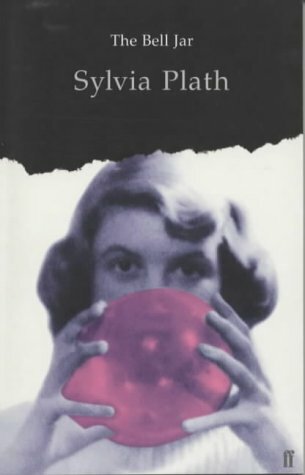 Sophie – So Many Books, So Little Time: I’ve always loved Sophie’s blog, which was one of the first I ever started reading. 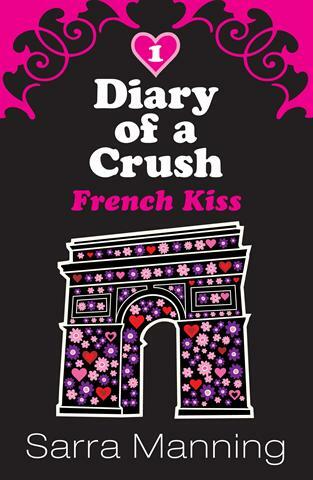 I love her style of writing and the fact she adores contemporary as much as me (Diary of a Crush, holla). Now she lives in Bath I’m lucky enough to see her all the time for cinema trips (weeping in the darkness during Now is Good is obvs a highlight) and cocktails (getting drunk before the Maggie Stiefvater event) and absolutely mammoth gossiping sessions and books, boys and blogging. 2. Kirsty – The Overflowing Library: Every time I get a text message from Kirsty it’s guaranteed to make me laugh for at least five minutes and that is pretty much the best quality anybody can have, in my book. She always has cool boots and can rock a Mia Farrow haircut like nobody’s business. Kirsty reviews a brilliant selection of books on her blog and I’m always picking up a million recommendations from her. She’s doing a great job of hosting the British Books Challenge this year and also masterminded the fantastic Bookcase Showcase, which is one of my favourite blog features ever. 3. Michelle – Fluttering Butterflies: The first time we met was a completely chance encounter so I firmly believe FATE brought us together, my dear! We (me, Michelle and Sophie from So Many Books, So Little Time) bumped into each other in Waterstone’s in Bath at the Kid Lit Fest in 2010 and I have been a huge fan of Michelle’s blog and her lovely self ever since. In short, I think Michelle’s blog is the most interesting UKYA blog. In fact, I just think it’s the most interesting UK blog, full stop. Every time I log on I spend at least half an hour reading new and old posts and they’re always wonderfully written and engaging. Michelle is a master blogger, a brilliant friend and, genuinely, one of the nicest, sweetest people I have ever met in my entire life. I wish I was more like Michelle, I’ll tell you that for free. 4. Sarah – Feeling Fictional: I bloody love this girl. I think I could spend approximately a million years talking to Sarah about anything and everything, which is why we always need to meet up before events to get a gossiping session in. Plus, (along with Kirsty and Sophie) she never says, ‘No, Carly, it’s still light outside, it’s too early for alcohol’. Me and Sarah are living proof that opposites attract – she loves paranormal romance and fantasy and I love contemporary so our paths rarely cross in terms of books we’re reading but I still love reading her reviews. They’re always interesting and insightful and, if anything could persuade me to read an adult urban fantasy book, it’d be one of Sarah’s reviews. 5. Jenny – Wondrous Reads: I love Jenny’s blog because there’s such a brilliant variety of reviews and I feel like she’s always honest, so I can totally trust her recommendations. She’s always ahead of the game with news and cover reveals so Wondrous Reads will always be one of the first blogs I visit when I’m online. Blogging aside, Jenny is awesome and I’m sad I don’t get to see her more in real life. She has top notch music, film and TV taste and is generally lovely and friendly and one of the most genuine girls in the UK blogging scene. Stephen King. Although, not Stephen King because I would probably just weep and go a bit Annie Wilkes and make a joke about the penguin always facing due south and it would go badly. I would have said Sarra Manning but I was lucky enough to meet her at the Atom blogger party last year – achievement: unlocked. Stephen Chbosky or E. Lockhart, methinks. I know I sound like a broken record but I’d like to see more contemporary (specifically, college-based contemporary, which would be amazing) and less paranormal romance/dystopia. Anything that involves a girl in a floaty dress looking sad and/or flitting about in water. Contemporary with added parties and cocktails and sexytimes would make my dreams come true. Can we get Paige Harbison to write a contemporary series set at a university? Can that please be a thing? Because that would be awesome. God, I don’t even need to take a second to think about this. Dylan from Sarra Manning’s Diary of a Crush series, hands down. Every single male lead in YA will always be judged against him. He’s the ultimate art boy and still my favourite, even though it seems like a million years ago I was cutting out the installments from J17 and precariously adding them to plastic wallets to preserve the joy of Dylan for evermore. Thank you so much, Carly! You'll be pleased to know that I recently read all three books in the Diary of a Crush series and can now understand all of the Dylan love! I would LOVE to see more college-based contemporary YA as well, and oh! Ruby Oliver would make for an *excellent* BFF. What do you think though? Would you like to be friends with Ruby Oliver? 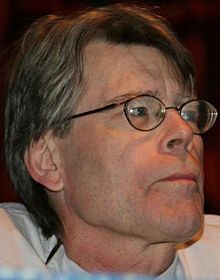 Would meeting Stephen King render you speechless? Would you like to snog art boy Dylan? Let Carly and I know in comments! It's tragic that I haven't properly met you yet, Carly (except when I handed you the tin of hot chocolate that one time)! Great interview! I'd love to be friends with Ruby Oliver too. I would NEVER cut up my precious issues of J-17 though *giggle*.